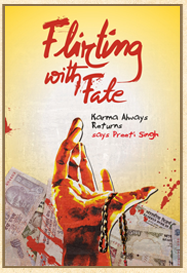 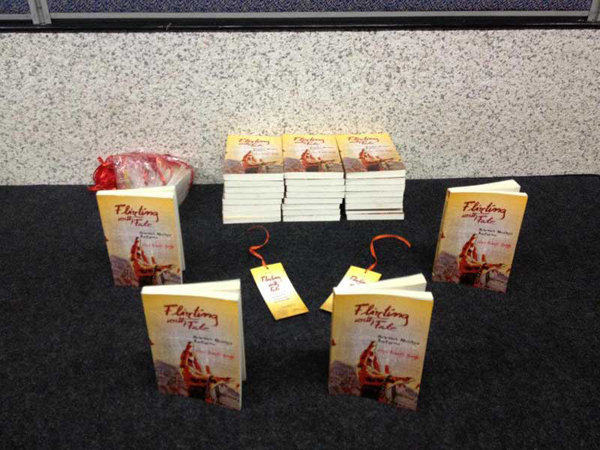 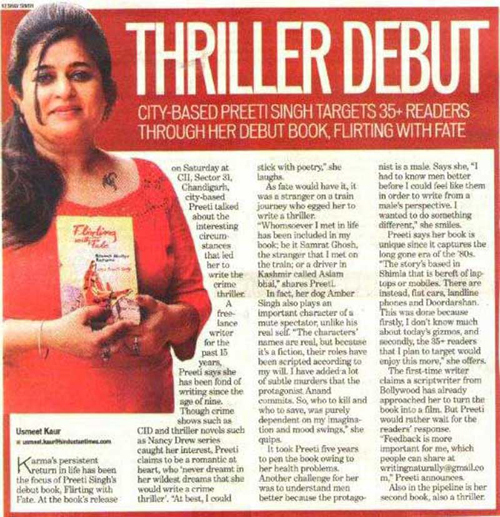 Preeti Singh's Debut Crime Fiction Novel Flirting With Fate was Nominated for the Commonwealth Booker's Prize. 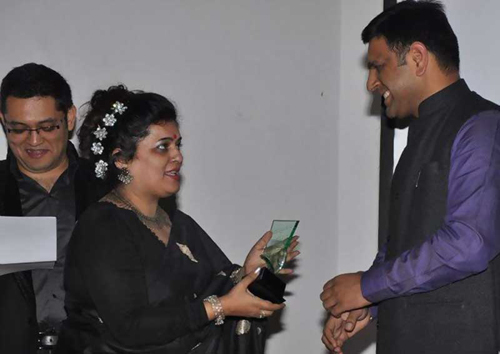 Some of the important events she attended can be seen in the pictures below. 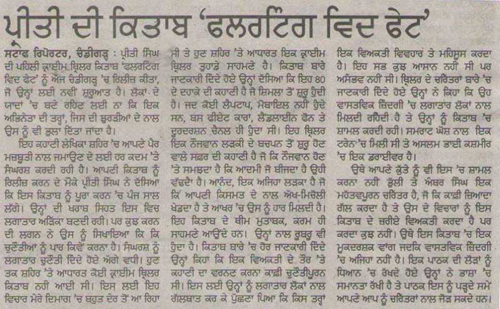 Media Coverage of Flirting With Fate in leading newspapers. 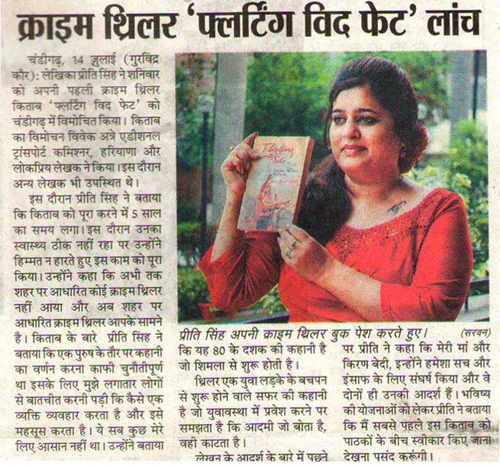 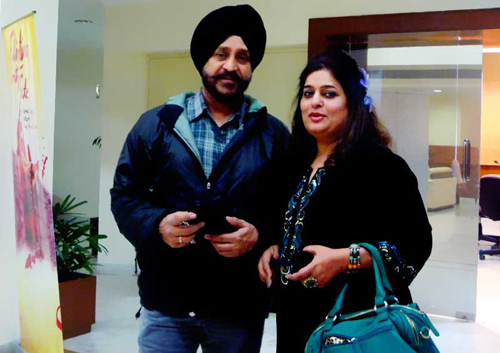 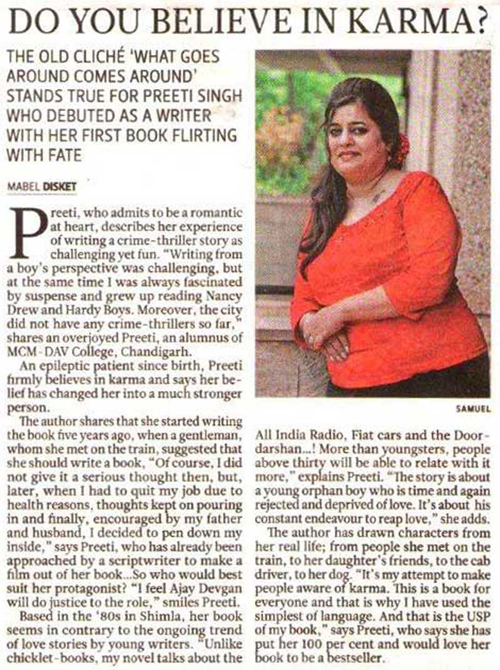 Preeti Singh earned a place in the Coffee Table Book 2013 of the leading personalities of Chandigarh by Aneesh Bhanot. 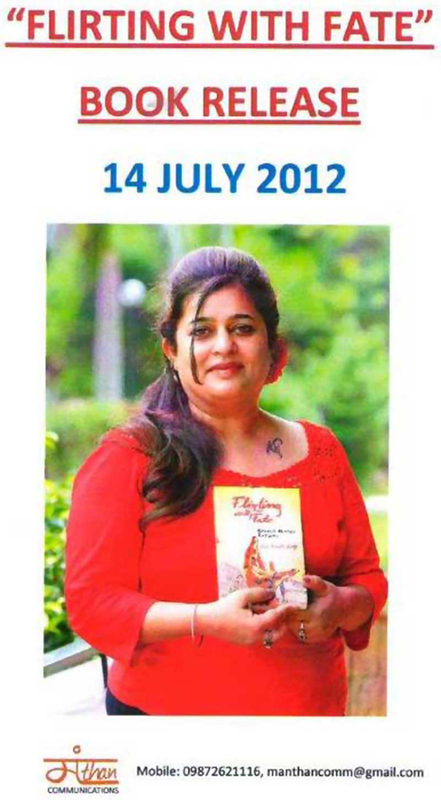 Flirting with Fate book launched on 14th July 2012. 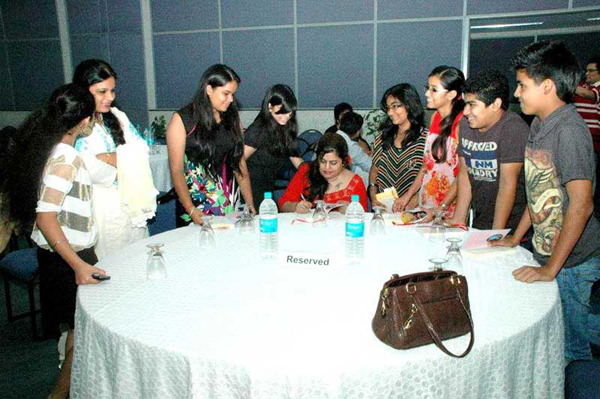 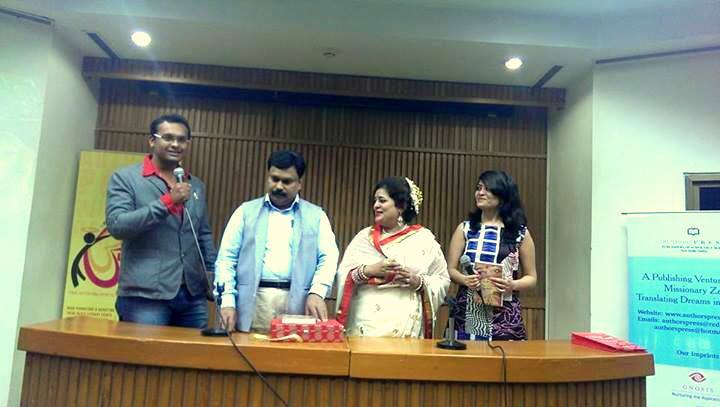 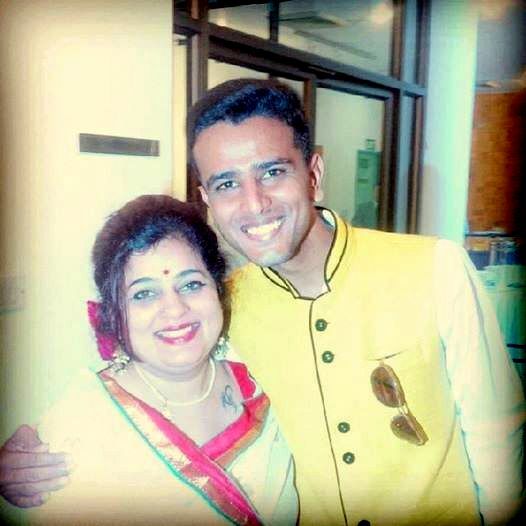 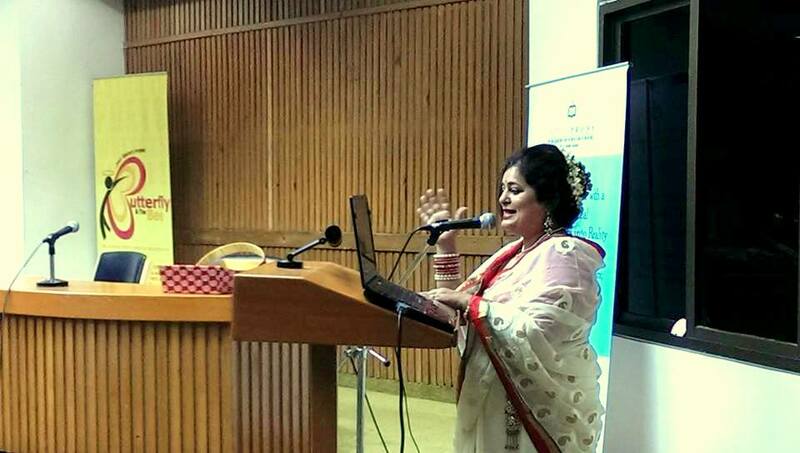 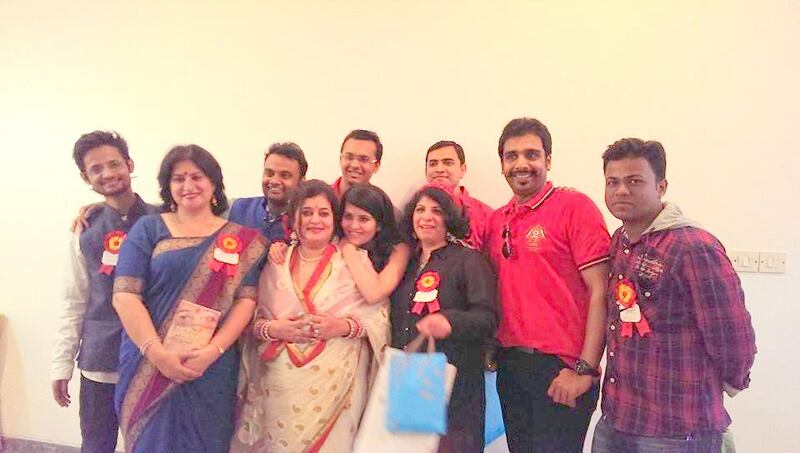 An event with actress Kirron Kher to take care of The Girl Child. 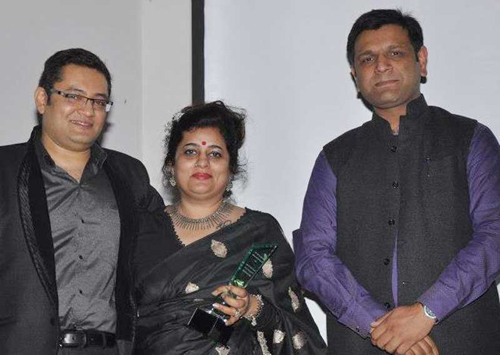 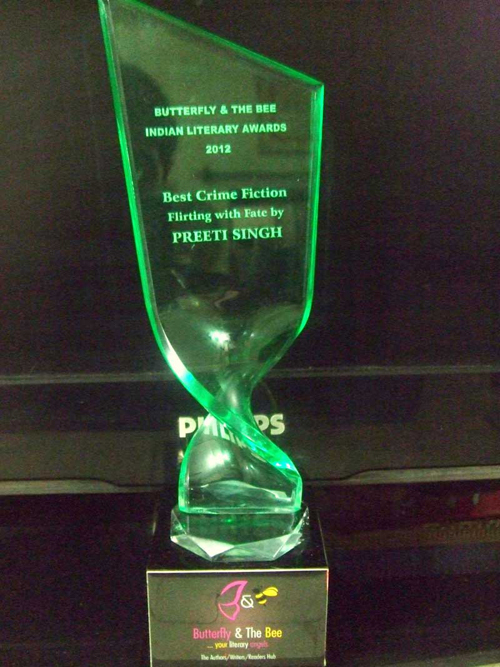 Awarded the Best Debut Crime Fiction of 2012 By Sumit Sehgal Founder of Butterfly and the Bee. 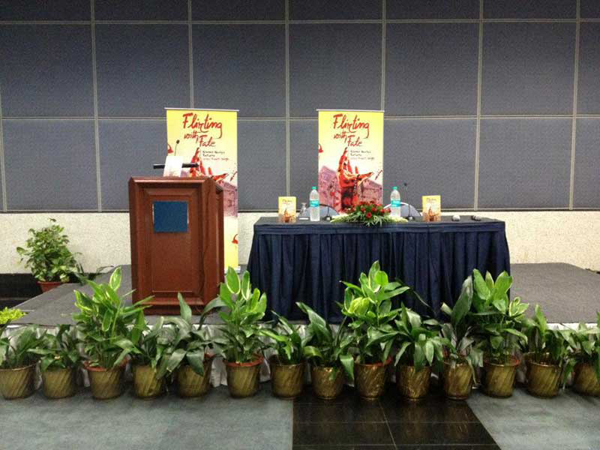 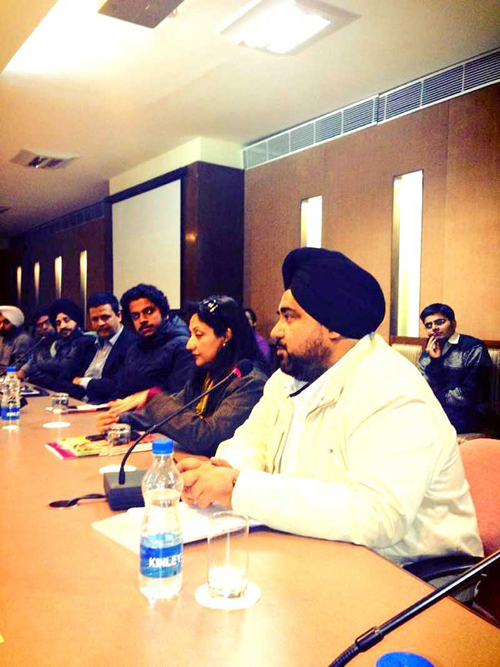 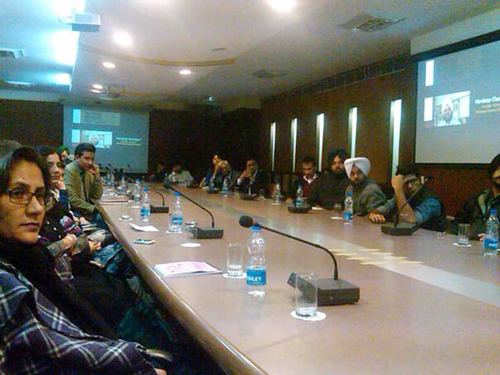 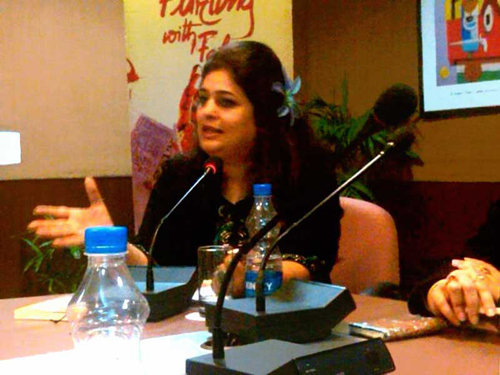 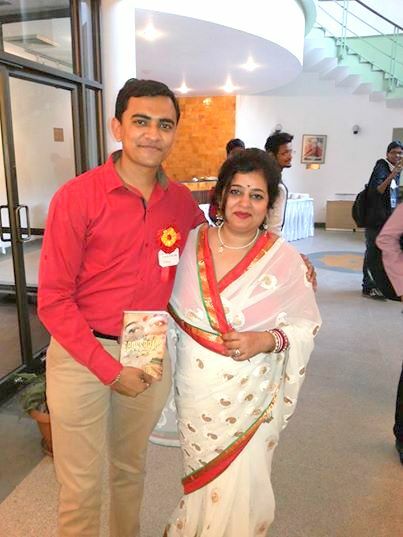 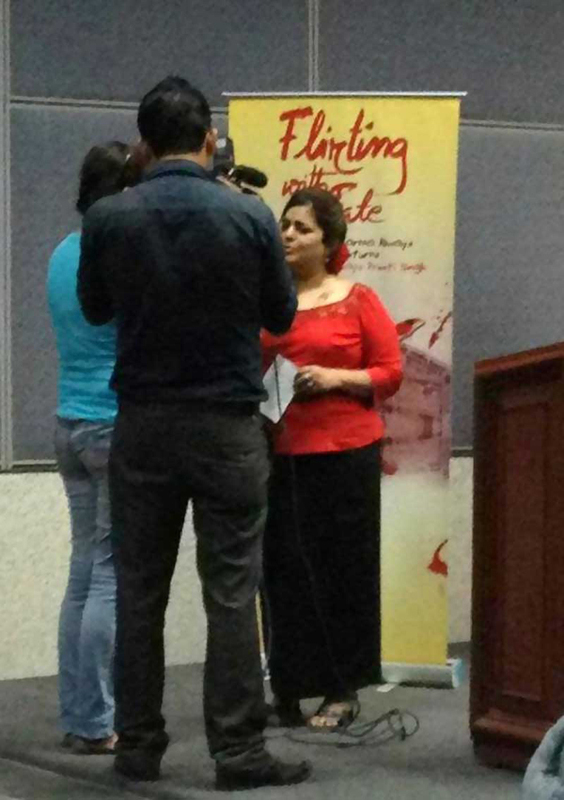 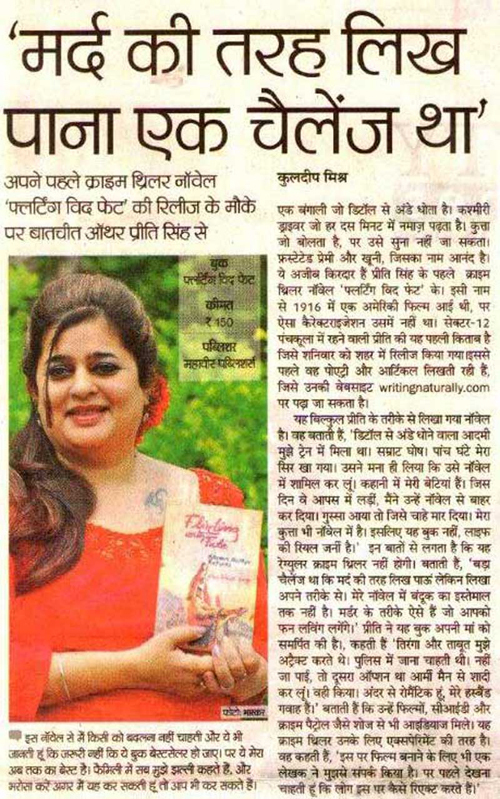 Flirting With Fate fecilitated by the Chandigarh Literary Society. 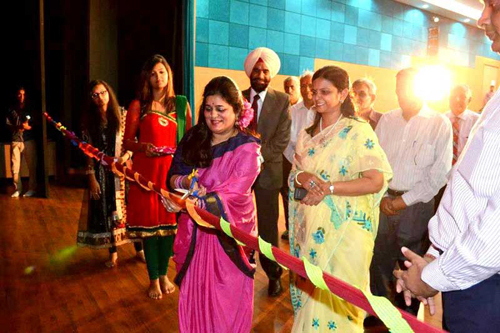 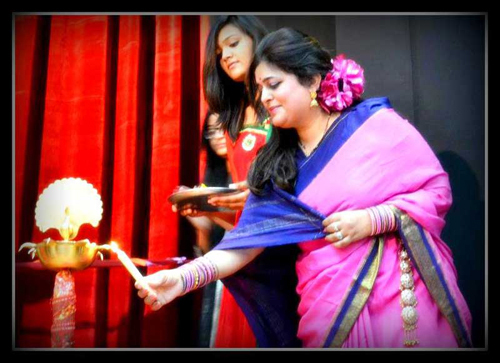 Preeti Singh was invited as the Chief Guest to Inaugurate The Annual Cultural Festival at the JECRC UDML College of Engineering Jaipur. 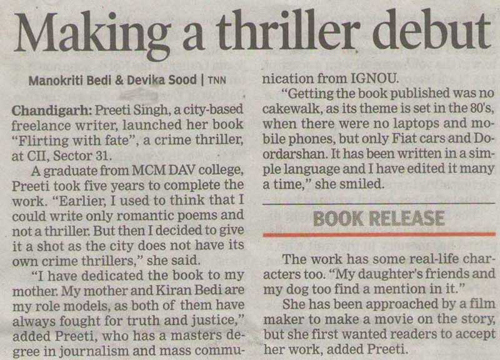 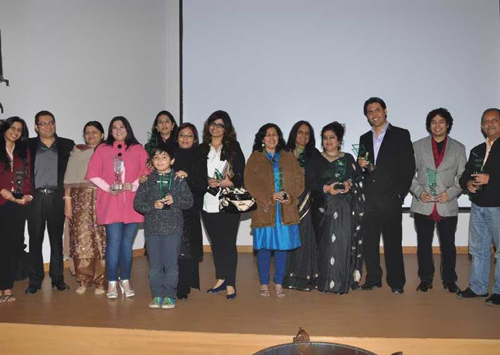 Preeti Singh was invited as a creative participant in an exhibition held at The Pint Room in Sectot-9, Panchkula.